During the month of February, the Black Women Losing Weight sisterhood will focus on Food Journaling to answer a very important question: What are you REALLY eating? 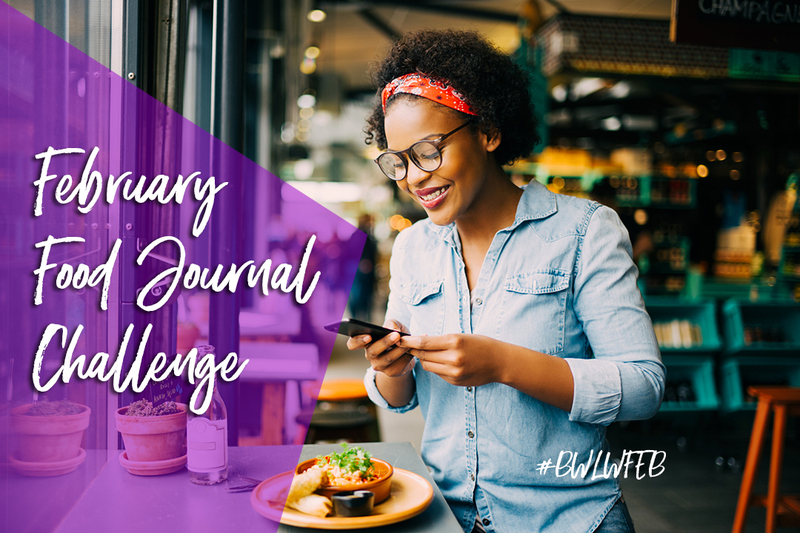 Challenge Goal: Keep a journal of EVERYTHING you eat and drink for 3 WEEKS – Feb 1 – 21, 2018. This is a very powerful, self guided challenge that requires daily action. This month is all about really looking at the food we are putting in our mouths and being able to make food choices that work in favor of our weight loss and health goals, not against them. People tell me all the time about how they are working out consistently and not losing weight. They tell me about how they have added green smoothies and more fresh fruits/veggies to their diet but they have not dropped pounds. Most of the time, the issue is that they have not stopped eating highly processed, unhealthy foods or food that doesn’t work with their bodies (i.e. blood sugar sensitivities, food allergies, etc). This month we will work to investigate our eating habits and start making practical changes. Bottomline: If you want to get results in 2018, you really have to understand what is going into your body. This challenge will help you do just that. Decide on Your Method of Journaling. You can use a free mobile app, like Loseit or FatSecret. You can use a free website, like MyFitnessPal or SparkPeople (these are apps as well). You can keep your journal on paper using a notebook or journal. You can also take photos of your food as a record. Commit to Honesty. This challenge doesn’t work if you lie to yourself or lie in your daily check-ins. You need to know what you are eating and drinking if you are going to release the weight and properly fuel your body. There is no getting around that. This challenge isn’t about being perfect, it’s about being accountable. Week 1 – Record everything you drink and everything you eat. (Don’t forget about snacks, cream in your coffee, etc.) Try not to judge your choices. Just eat the way you’ve been eating. If you have recently begun a diet, eating plan or weight loss program, continue to follow it. This will serve as a benchmark from which you can improve. Take a look at the last 7 days of eating and really be real with yourself. What areas need improvement? Are you drinking way too many of your calories? Are carbs making up more than 60% of your diet? Are you eating enough protein? Are you eating more healthy foods or unhealthy foods? Week 2 – Feb 8-21, 2018 – For the next 14 days, you will attempt to improve your eating habits and compare your calorie/nutrient counts with what the calculator suggested. Keep track of the amount of calories, fat, carbs, protein and sugar in what you are eating so that you gain a greater understanding of what is really going into your diet. Look at the food labels on the foods you eat and really start investigating the ingredients and nutrient counts. If you are using a paper or photo journal, use a calorie counting site, like calorieking.com, to get calorie/nutrient counts and info on foods that don’t have labels. We are also hosting a DietBet this month! The fun starts on February 6th. This is the Accountability you’ve been looking for! Join Us Today. We encourage you to consider eating clean during the final 2 weeks of the challenge. What is Clean Eating? When you eat clean you’ll be eating more unprocessed, whole foods that are prepared or cooked in healthy ways. We are talking about fresh fruits, fresh vegetables, lean meats, meat substitutes, whole grains, lots of water, healthy dairy, homemade smoothies and fresh juice. You will avoid fried food, fast food, junk food, bleached white flour, artificial ingredients, soda, commercial juice and sugary drinks, processed sugar (white sugar, corn syrup), and foods with preservatives, toxins, dyes, saturated fat, and trans fat. You will likely be doing things like doing more cooking at home, eating more veggies, looking for healthy snacks, etc. Fooducate – Great tool for comparing the food quality and ingredients of various brands. Recipes: Visit eatcleandiet.com and cleaneatingmag.com for hundreds of free recipes and information on the clean eating lifestyle. Let’s keep one another accountable to our collective commitment this month. Let’s support each other and give encouragement to those who need it. Changing your eating habits can be hard, but you CAN do it. Are you In? Leave a comment below and let us know why you are joining our February Food Journal Challenge. Yes, I will participate in the February Food Journaling Challenge. By journaling with the group, I will have additional accountability. I will participate because accountability is a key to releasing weight. It will Aldo help yo define behaviors that affect my weight. I will be joining the February food journaling challenge. I need the accountability and encouragement. Wow, just when you need it a little push, a big confirmation comes along. Accountability is such a good thing – it keeps you honest. I’m all in!! Yes I will participate in the February challenge, I start this week with green smoothies and clean eating so I hope to be well on my way. I’m in. I’m starting a new meal plan in February so this challenge will be perfect. I may also do the diet bet. We can do anything we set our minds too. Im in it to win it. I will do the February food journal challenge and start walking again on my breaks. I am in, this will show me what I already know I am doing wrong and will hold me accountable for not doing the right thing. I’m in looking forward to getting myself straight and being accountable for what I eat and do. I needed an “entourage” to keep me on track!